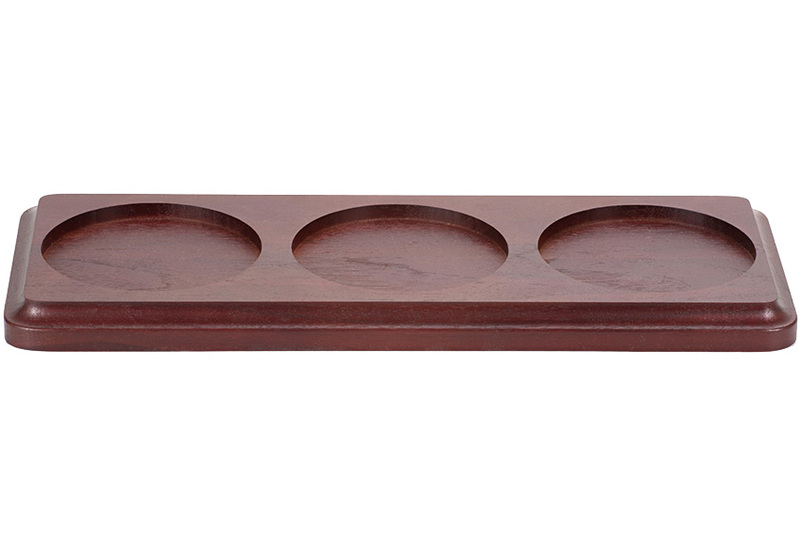 Organize your collection of Glass Dome Hole In One Displays with this solid walnut, cherry-stained based. 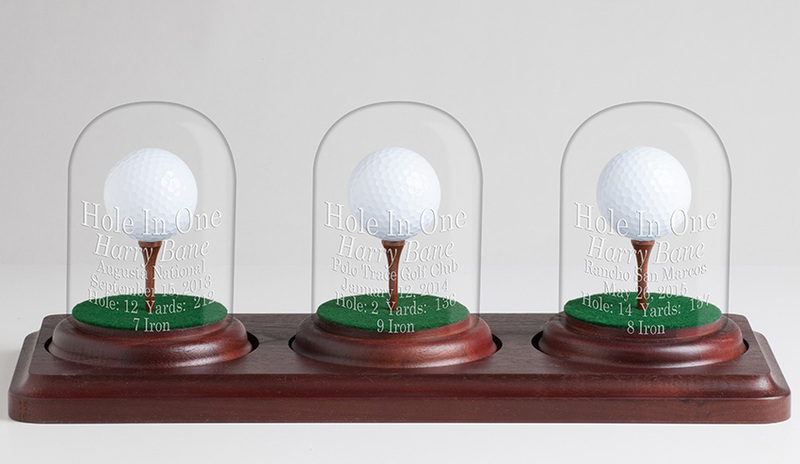 Designed to fit 3 Glass Dome with Tee Hole-In-One Trophies. Measures 13 �" x 5 �"